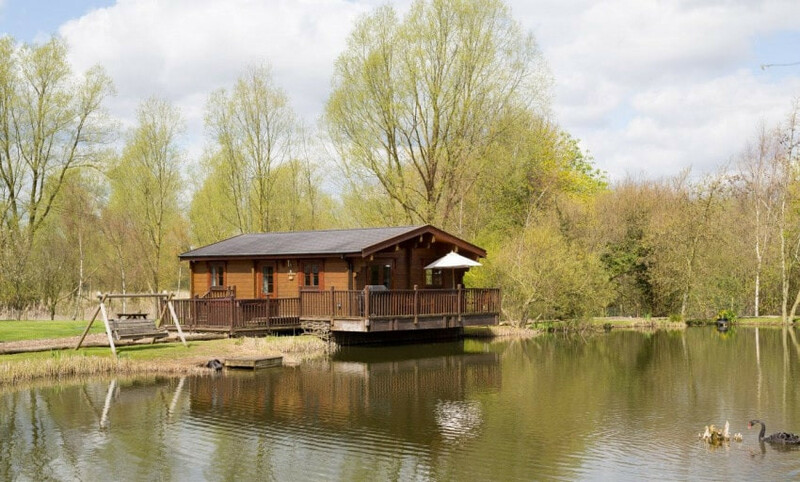 Woodpecker Lodge is situated in an idyllic location overlooking the main fishing lake. It has far-reaching views over the open countryside behind towards Langham Church and Hall in the distance, and offers the perfect relaxing location to enjoy the local wildlife; deer can sometimes be seen in these fields. Woodpecker Lodge faces East so gets the sun on the veranda in the morning and early afternoon, and on the hot tub side of the verandah in the afternoon. It is a good choice if you are coming here for fishing. Woodpecker Lodge has everything you could possibly want from your own private log cabin. It has achieved a 4 star rating from Visit England and has been awarded their prestigious Gold Award in recognition of exceptional quality.